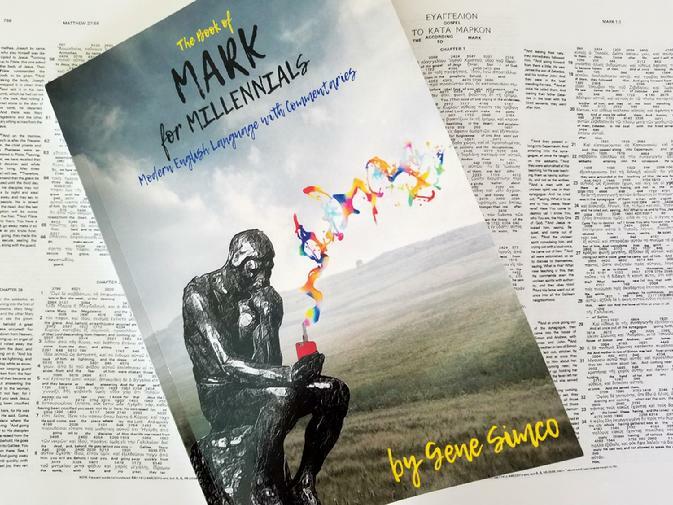 "I've just finished up the final revisions on Mark for Millennials. It should be available next week. 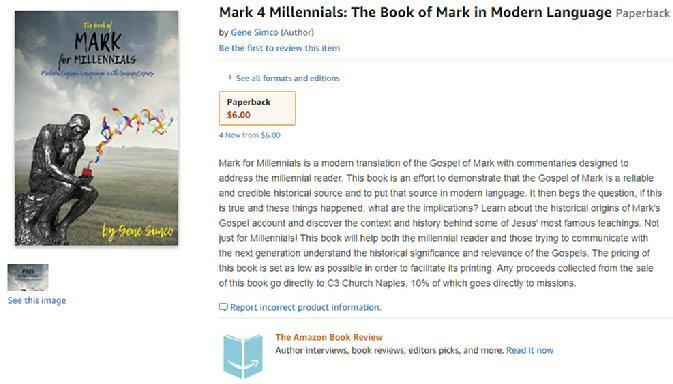 This book is not just for millennials, it is also for those who have trouble understanding the language, historical credibility and context of the Gospel. This is not a scholarly commentary - it is an effort to translate what the scholars are saying into plain modern language. I set the price as low as I could but enough so that it would print. Any proceeds will go to C3 church, 10% of which goes directly to missions." During the infancy of MMA, Gene Simco was at the forefront of the BJJ (Brazilian Jiu-jitsu) and MMA instructional industry. He was the founder of one of the largest Jiu-jitsu websites, with millions of visits and was the first to author Brazilian Jiu-jitsu books here in the US. He is the author of the largest Brazilian Jiu-jitsu book ever written, starred in several instructional DVD series and was an acclaimed coach who produced Brazilian Jiu-jitsu champions at a world level. He built the largest MMA Gym to date in the Mid-Hudson Valley area of New York. Not without controversy, Simco was also known for his arrogant persona and shrewd business tactics. Like him or not, there is no arguing that he became a financially successful Martial Arts entrepreneur. So why leave a lucrative business behind for a financially uncertain career in Christian Music? We interviewed him to find out. Gene Simco Opens the First IBJJF Accredited Academy in Naples Fl! Founder of Team NYMAG (New York Martial Arts Gym), Gene Simco has just opened the team's first Florida location in Naples. The gym is staffed by World Muay Thai Champion, Cosmo Alexandre and Brazilian Champion & 4th Degree BJJ Black Belt under Amaury Bitetti, Marcelo Nigue. The new MMA Gym is the premier training facility in the Naples area boasting 18,000 sq ft of Workout Equipment, Amenities, Bags, Large Matted Area and a Full Octagon Cage. Scroll Down for Gracie Magazine's Report on the News! World Champion and Brazilian MMA Fighter, Marcelo Nigue conducted a special seminar at NYMAG (New York Martial Arts Gym) to present Gene Simco with his new BJJ Black Belt Diploma from the Federação de Jiu-Jitsu do Estado do Rio de Janeiro, the official certifying organization for the Gracie style of Jiu-Jitsu. Marcelo Nigue is a professional fighter who operates schools in Brazil under "Bitetti Team", founded by the First World Champion of Brazilian Jiu-jitsu and UFC veteran, Amaury Bitetti. Bitetti was also on hand to present the Diploma to Gene and to confirm the affiliation with Bitetti Team. Gene Simco received his Black Belt from Nigue in 2005. The very first two-time absolute world champion of Jiu-Jitsu, Amaury Bitetti has served as trainer to a number of big names in world MMA in the past, among them the Nogueira brothers Rodrigo Minotauro and Rogério Minotouro. After a two-year stint working only in event promotion, the black belt has now returned to the coaching fray, alongside also-black belt Marcelo Nigue in the city of Santos, Brazil, together working with Bitetti Team Memorial Arena. “I received this offer from Memorial and invited Nigue. We did seminars together in New York and he’s already doing a great job in Santos. 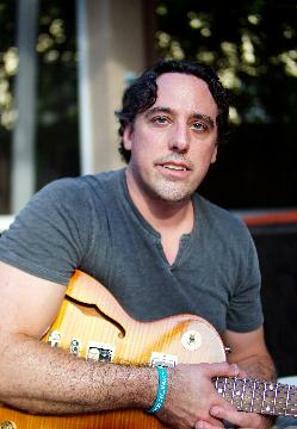 I’m still promoting Bitetti Combat, though, and soon we’ll have some good news,” he comments. “We’re going to compete in everything: Jiu-Jitsu, submission wrestling and MMA. We already have fifteen professional athletes and we’re going after new talent. I’ve represented Master Royler Gracie for some time, but Gracie Humaitá has been totally revamped and I wouldn’t be able to use the name “Memorial” anymore, which is who is backs me in Santos. 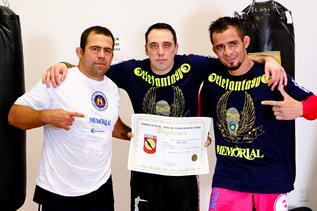 I made the most of Amaury’s invitation and we’re going to put everything we have into this new MMA team,” he explains. As a Green Beret, every skill that I train for the battlefield must prepare me to fight and win in the worst conditions. Martial Arts training is no exception. What I learn must be practical, simple and effective - but it must be taught in a way that I can understand quickly and incorporate in my skill set. Everyone is welcome to train here. The atmosphere is relaxed but intense. If you want to get in better shape more efficiently, train here; if you want to compete in Jiu Jitsu or Muay Thai, train here. And if you need to learn how to defend yourself and your family in today's world, you BETTER come here, Gene and his Instructors know that the disciplines they teach all come from a need to survive and win on any battlefield -- a dark alley, an MMA cage, or the unforgiving streets of the Middle East. When you train at NYMAG you will have fun, but you will be pushed. You will meet friends who will fight you with all they've got. You will get stronger, faster, tougher and develop skills that make you a better fighter and a better person. That's why I'm here - I don't have time for stuff that doesn't work, so I train with Gene and his staff at NYMAG -- and that's why you should be here too. Gene Simco brings his largest book, the Award Winning Master Text to life on screen in this Huge new 8 Disc set. Each Aspect of Brazilian Jiu-jitsu Fighting is covered in this Incredible New DVD Set: Sport Jiu-jitsu with the Gi, Submission Grappling (Sport without the Gi) and Vale Tudo/MMA (No Rules Fighting)! The Most Advanced Techniques from all positions are covered in each area: Standing, Guard Passing, Top Control and Guard, Sweeps and Submissions, Escapes, Counters, Reversals and More! This DVD set is the most complete look at Brazilian Jiu-jitsu on DVD. Check out Gene Simco in a New JIU-JITSU.NET EXCLUSIVE DVD Set: JIU-JITSU FOR MIXED MARTIAL ARTS. 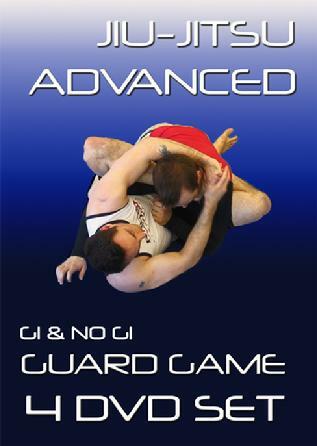 Jiu-jitsu Advanced is a DVD series that will show you how to use the Fundamentals you already know against advanced opponents by Building on the Basics. You will also learn new techniques not shown in any other instructional series. Learn New Guard positions and drills to help you flow from Guard Type to Guard Type easily, making your Guard Nearly Un-Passable! Learn Methods of Guard Passing that will make passing even the most complicated guard types seem easy. You will learn submissions that very few will ever show you how to do properly. Based on his popular Book: Brazilian Jiu-jitsu, Basics, this newly remastered 4 DVD Special Edition Widescreen set shows practitioners of Brazilian Jiu-jitsu the need to know techniques for any situation. Each DVD is dedicated to one part of the fight game: Standing Techniques, Fighting from the Top, The Guard Position and Escapes. No Rules Boxing: This DVD is Great for Martial Artists from all styles who want to round out their game and improve their striking. Produced by Gene's Company, NYMAG Films, it features veteran Boxer, John Carlo. 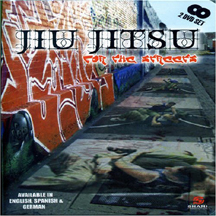 No Rules Brazilian Jiu-jitsu: This is a 4 DVD set that features Gene himself showing 'Street Effective Groundfighting'. No Rules BJJ, Techniques for Self Defense and MMA: A Kensington Publishing Release, This book will be available in August 2005 everywhere books are sold. Due to popular demand both by Spanish speaking customers in the U.S. and in Europe, a New Production Company has released Gene Simco instructional DVDs in Spanish and in German. More releases are expected soon! This Powerful 2 DVD Instructional Set contains footage from Gene Simco’s Award Winning No Rules Brazilian Jiu-jitsu DVD series (*See Note Below). This Special Edition contains menu selections to switch from Overdubs in Spanish and in German – no distracting titles. This set makes it easy to learn solutions to common Groundfighting situations with hard surfaces and no rules situations in mind – everything is included: escapes from common holds, fighting from your back, chokes, submissions and even how to defeat the guard. 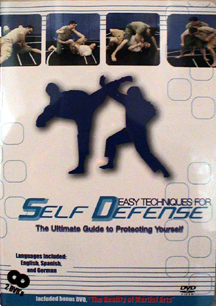 This set is based on Gene Simco’s innovative Self Defense Made Easy (*See note Below) program and includes Volumes one and two Plus a Bonus Martial Arts Documentary that goes behind the scenes of dojos in search of the Reality of Martial Arts. This Special Edition contains menu selections to switch from Overdubs in Spanish and in German – no distracting titles. Simco makes it Easy to learn simple and effective escapes from every imaginable self defense situation and even shows his favorite restraining techniques. * These DVDs contain only small portions of the "No Rules" and "Self Defense Made Easy" Sets and are intended for foreign release - English Speaking Customers should Check out the Full Versions of NoRules BJJ and Self Defense Made Easy. The official Homepage of Gene Simco. Gene Simco Brazilian Jiu-jitsu Instructor, Author, Entrepeneur. Gene Simco Jiu-jitsu. Gene SimcoBlack Belt. Gene Simco Author. Simco. Gene Simco DVD. Gene Simco Master Text. Gene Simco BJJ Book. Gene Simco Book. Simco BJJ Book. Gene Simco Videos. Gene Simco School. 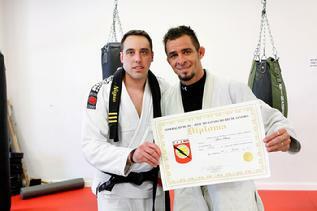 Gene Simco BJJ Academy. Gene Simco BJJ School. Gene Simco Dojo. Gene Simco Martial Artist.